Today was the first day we actually left from an albergue in the morning. We woke around 7:30 to eat breakfast and make sure our packs were ready for the day. The morning was much colder than I expected, so it was hard to climb out of my warm sleeping bag. Breakfast was simple but yummy…yogurt and fruit. Then we were all ready to hit the road! Today we walked about 15 kilometers for an easy 3 hours. For second breakfast, we stopped at a café/albergue. I had a croissant with ham and cheese…the most delicious thing I have had so far! 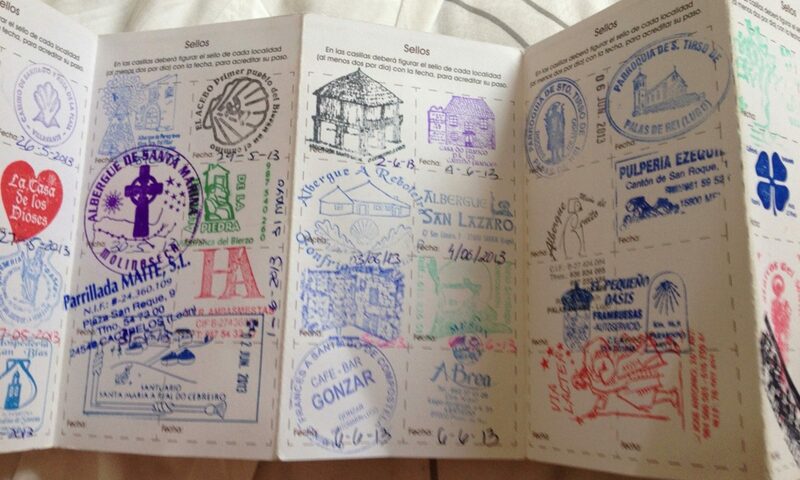 Today we stayed in Albergue San Miguel. It is in Hospital de Órbigo. There is a old roman bridge with 13 arches that marks the entrance to the town. I have really enjoyed this albergue. 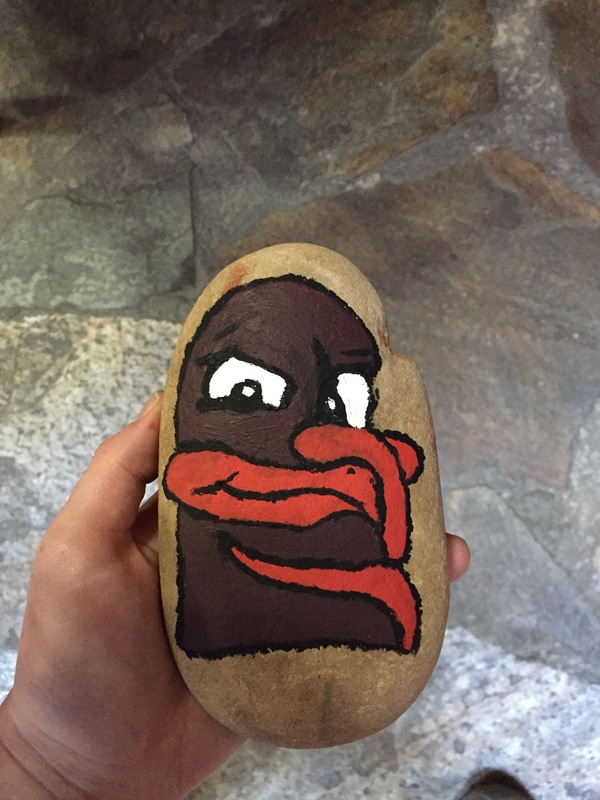 I had the chance to play in a river and paint a rock with a Hokie bird. A family dinner where we collectively cooked and ate was the perfect night cap to the day. Buen Camino!